I am the founding Sarama Sanctuary Animal and love to be scratched behind my ears. Miakoda had a difficult life. She was on the euth list at animal care and control at only 8 months old. She was rescued in the knick of time but for the next five years she was in and out of different homes. In between those homes she was returned to the kennel. Each time she was returned her mental state started to deteriorate. She had more and more difficulty coping and she started to act out. The kennel staff has a hard time handling her and no one wanted to adopt her because of her behavior. She went to foster with our director in 2013 and then was officially transferred over to Sarama Animal Rescue. Miakoda or Koda for short, was incredibly stressed at first and would often pace and turn circles, a behavior she picked up in the kennel. 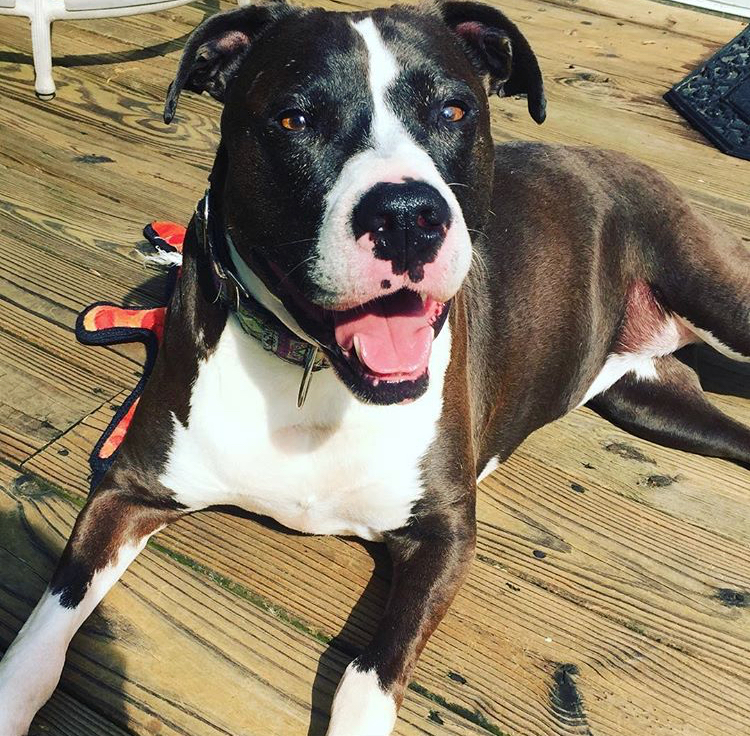 It took a long time for her to feel comfortable and learn to trust her foster family. After being abandoned so many times, who could blame her? We had originally intended to place Koda up for adoption but because it had taken so long for her to adjust, we decided it was best for Koda to remain with her foster family. Her foster mom knew her issues and could read Koda well. She knows when Koda needs space and how to help her feel comfortable. 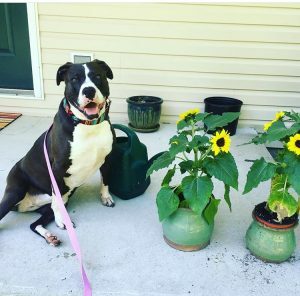 To put her in a new home and start all over again was a risk we didn’t want to take. 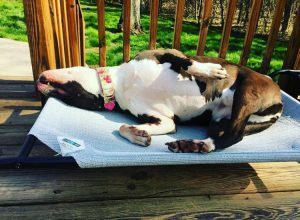 Koda enjoys sunbathing on the deck, watching TV with her foster parents and going for leisurely walks. She is ten years old now and besides some arthritis in her back legs, she is still healthy. Her foster mom says she is incredibly smart. She knows many commands, figures out puzzle toys faster than any of the other dogs and has even managed to train her foster parents in some ways. Her foster mom calls Koda her most complex dog. She can be fiercely confident one moment and completely unsure of herself the next. It’s been so rewarding to watch her settle in and just relax and be herself. She rolls around in the grass on sunny days and naps on the couch on rainy days. 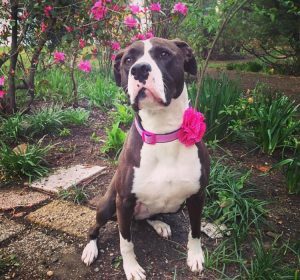 When she first came to foster she was on high alert and would bark at everything and run circles in the yard whenever she heard a noise. Now she is content to watch the deer out the window. She loves to be scratched behind her ears and still brings her toys over to play tug of war.